Welcome to Novel Matters, where we seek to engage and explore irresistible fiction – specifically fiction written from a Christian perspective. It’s a perspective that explores the dignity, humanity and mystery of the human experience in light of God’s character. We seven do not presume our work to be definitive. Rather, we strive to create sumptuous, lush fiction by using surprising and satisfying language, and creating unforgettable characters. And we aren't afraid to ask the difficult questions that linger in the reader’s mind long after the last page. We are students of the craft and desire to join with you in provocative discussions about novels that matter, stirring up the passion within author and reader. 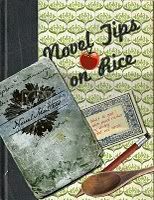 The purpose of Novel Matters is to hone the calling and craft of fiction writing. 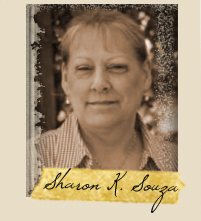 It's my (Bonnie's) privilege to be the first blogger on Novel Matters. We're starting off with a interview style tête-à-tête about who I am and a few ideas I have about writing, books, and creating irresistible fiction. I'm new to the world of publishing, my first novel, Talking to the Dead, will be released June 1, 2009 from David C. Cook. You can read the blurb on my other blog. Each one of us will share a bit about ourselves in the weeks to come. And there will be more, so much more! Contests (with the most amazing prizes! ), book giveaways, interviews. Be sure to bookmark this blog, or become a follower, so you don't miss a moment! First a pet peeve: "Christian" isn't an adjective - it's a noun, or better, a verb. But on with my answer! Christian fiction has changed over the years, and will continue to change (as it should). It started out as a way of expounding on Bible stories and characters, etc., and now has become a market that embraces nearly every genre out there. But, in general, Christian fiction is stories that accept the God of the Bible as Ultimate Truth. A Wrinkle In Time – The first time I “read” this book as a kid, I actually had it read to me by a camp counselor. I was transported. I could see every detail, feel every sensation – which is remarkable for a story that takes place in an unknown dimension. I don’t think I’d go so far as to say I wish I wrote it, but I aspire to write with the immediacy and intimacy I first encountered in this classic book. Lots of things come to mind – but for me, it’s about respect. If I approach conflict with respect for the issues and people involved in it, and endeavor to show a multi-dimensional understanding of the problem, then I will earn the reader’s trust. I also steer clear of having all the answers about a problem. Also, my work tends to explore issues and conflict I have lots of questions about, so much of what I write is me wrestling with questions I find compelling – and I’m sure many other people do too. Oh if I could turn my brain off in the shower! Head full of shampoo, eyes burning and YOWZA! Best idea ever pops into my head. So not fair. Anyone else relate? I write for women who have experienced unwanted change and/or loss. You betcha. I love stories and I’ve been making them up my whole life. At heart, that is what I am, a storyteller. Drop your hat, and I'll tell you a story about it. I see the reader finishing the book, reaching for the phone, and calling a friend to talk about the experience she just had – the enjoyment, the hope, the shattering grace she’s just encountered, and to share how God has whispered in her ear about His abiding love for her. I look forward to hearing from you, sharing your thoughts about irresistible fiction, and engaging in this journey of words with you. I set my alarm to be one of the first to visit Novel Matters. Bonnie, you are a true wordsmith. I'm so glad we're in this together. The shower, eh? This is going to be an interesting thread. How about it Novel Matters readers, where are you when inspiration hits for life and craft? The shower? I can relate to that! I've also had ideas pop into my head just as I'm about to fall asleep. Patti, I'm excited too! It feels wonderful to have the blog up and running. I'm so excited to learn more about each author on the blog and to hear from our readers! Laura: Yes! Just nodding off and ZAP - a moment of sleepy inspiration. I wonder why it happens that way? Walking the dog, listening to a sermon, reacting in anger with "Someone should write a book about that, reading something in a history book--all have sparked novel ideas. And my poor family--the stories they're afraid to tell . . .
Michelle: Sounds like the mind of a writer to me! Stories jumping up all over the place. I admit to writing furious notes during my husband's sermons - not sermon notes, but ideas for my books! Great that you dropped by! Laura, how great to see another author here from our Bonnie's Canada. And Michelle, dear friend, I'm glad you looked in. Welcome to you both! I hope we'll hear much more from you at Novel Matters. Very exciting, my Bookie friends! May the Lord bless all your Kingdom work through this blog. May He grant each of you wisdom and may the Law of Kindness be in your hearts and on your tongues. May all those who come here for find hope and courage and clarity. Robin: Thanks for dropping in! And for your warm prayers and wishes. Bless you! Launching a blog feels very much like hosting an open house. The house is finally ready after months of preparation, and delicious thoughts are being prepared to encourage and inspire. Good friends are dropping by to ooh and ahh and offer their blessings. This is fun! Thanks for stopping by everyone! BTW, I had a three-idea shower this morning. The problem was remembering them all by the time I toweled off. For Christmas, my kids gave me a small notepad with a built-in light for ideas that come in the night. When you pull out the pen, the light comes on and goes out when the pen is replaced. It was the most thoughtful gift I received. Just really happy to be part of this blog! I love Christian books. I am just a reader so I hope it is okay if I post here? Christian books are wonderful as not only do they give me a story which is always down to earth but they always inspire me as well. I love the way they can bring tears to my eyes and make me feel as if the writer truly understands my heart and soul. Is this cool or what? We are thrilled to have "just readers" post here. This is a conversation about the craft of writing and we love to include our readers! Janet and Wendy, I'm just as thrilled about your new blog. Robin, thanks so much for blessing our first day with your beautiful prayer. "Just a reader:" You, honeybunch, are why we are here. We value your input and hope you'll comment often. 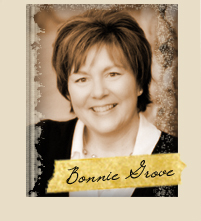 Great way to christen the blog, Bonnie! Lovebeingamom: Well said! I agree with you, Christian fiction can touch us in unique ways, adding depth and enriching our spiritual lives - as well as telling great stories! So glad you popped by, I hope to hear more from you! I am so excited that this blog has begun! I've been waiting for this post, and I'm thrilled to learn more about you all. Being a former writer (now editor), I can feel the itch to write coming back! Congratulations on the new blog, ladies! I'm looking forward to reading lots of great posts (and learning a lot, too!). Welcome, Brenna and Patti Jo. If Novel Matters spurs some new writing, we will be so, so proud of our new site, and mostly, of you. Thanks to all of you for starting this blog. As an aspiring writer, I will definitely be here often! The shower? Yes, that is where I get my best thinking done (unfortunately) and praying too, come to think of it. I've yet to write on the shower wall w/ soap to help me remember something, but it could happen one day! Brenna: Oh, those stirrings! Who knows, maybe they will lead you down a different path? Great to see you here on the blog! Catmom: Welcome to the blog. So glad you popped by. Cute kitty! Tracy: Glad to meet a fellow writer. Here's to a long, happy and inspirational friendship. Iron sharpens iron. Jennifer: I'm totally getting the soap crayons! Robin: Thank you for your beautiful inaugural prayer. It's an honor to hear from you. Lovebeingamom: Absolutely you can post here. I loved your comments. Look forward to more. Tracy: So thrilled to have you stop by. We look forward to getting to know you. Bonnie: Great post. I can't wait to hear from the others. I love all the comments we've received today. Thank you to everyone who dropped by. This is going to be a fun journey with you. Good evening. I read many books and none of them are fiction but oh, how I enjoy listening to a good story while I drive. I am in my car a great deal as part of my job. I can't tell you what a difference in makes in my day. Are any of your books on CD's or tapes? 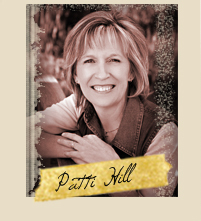 Oh, Patty Poole, you're a woman after mine own heart, because I love audiobooks, too. My novel is Latter-day Cipher, which my Moody editor described as "the DaVinci Code of Mormonism." It comes out in April, but unfortunately not in audiobook form -- at least, not yet. But because you also like non-fiction, you might be interested in my other book on Mormonism which Zondervan will publish also in April (No, I didn't plan it that way!) The Mormon Mirage is an information-rich book about what I loved about Mormonism and what made me decide to leave it -- (a theme I also explore in my novel.) But the good news for people like you and me is that it will be in print, e-book and audio formats! Here's a short link to the descriptions on the Zondervan site -- http://tinyurl.com/6az9s8. Oh my goodness-- what a wonderful blog. Knowing all seven bloggers, I'm anticipating the stimulating discussions that are sure to take place here. I am also drawn to the artfulness of your blog home. Kudos to the design team. It's a treat for the eyes as well as the intellect. I been waiting for your blog to get up. 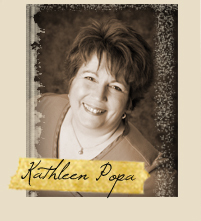 I just finished Kathleen Popa's Book The Feast of Saint Bertie. It was like nothing I've ever read. Now I am reading a book by a new author to review for her. It is quite different. She is a Christian too. I posted reviews on Kathleen's book. God Bless you all. How sweet of you to stop by. 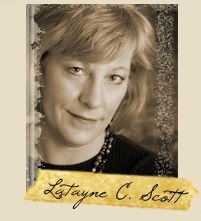 You'll love Latayne's book. Only problem, you won't want to get out of the car. Hubby has caught me sitting in the garage, listening to a fabulous story. Say hi to Bob. Hey Patti: I don't know if my book will be made into an audio book. You've prompted me to check with my publisher! Thanks! Glad to see Latayne was able to offer you something concrete - an interesting listen! Squires: Thanks for dropping by! The Feast of Saint Bertie IS so unique, isn't it? A wonderful food for thought book as well as a romping good story. Not often you find both in one book! So glad you dropped by and said hello! Wendy, thanks for your sweet words. Hmmm... I wonder what fabulous agents put us up to this blog in the first place? Jane, so good to see you here. And thanks for your kind reviews. I hope you'll stop in often. I've sometimes had inspiration in a dream. I'll have this really exciting dream, and somewhere in that state of semi-consciousness where I know it's a dream, I'll think, "Wow! This would make a great book! I should write it down when I get up!" I can't wait to see what wonderful things this blog has in store for us! Thanks! Hi Avily. Funny you should mention dreams. One of the most visceral (literally) scenes in my novel came as a fully-formed dream. I dreamed of a woman whose parents had died in a snowstorm and she kept the bodies in a root cellar where she trapped some wolves. She kept her younger brothers and sisters alive by shooting the fattened wolves until spring came. That became a scene in the book, and I am still wondering about the completeness and coherence of the dream. Fabulous blog, ladies! I'm looking forward to ongoing dialog about the craft! I'm typically more of a three-idea shower girl myself! J.M. Thank you for stopping by today, wonderful to meet you. I hope to hear more from you in the future. Katy M: Welcome! Wondeful to see you here. Ah, the shower seems to be the universal place of inspiring thoughts. Seems best we all take Jennifer's advice and invest in some soap crayons so we can write on our shower walls! Avily, I've been known to dream of polka dotted snakes. Hmmm... do you think there's a story in that? Latayne, your dream sounds positively creepy. I can't wait to get to that part of your book. I'm thinking, what if you girls thought up Latyne's dream in the shower? I can imagine, scrawled (in red of course!) on the shower wall: "Feed the corpses to the wolves; feed the wolves to the children." Thanks for the advice you posted in Jennifer's comment page. 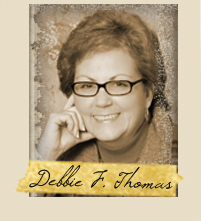 I checked out fictionmatters blog. Thanks. I am so impressed with the casualness of this site. I am young and thankful for blogs like these that are encouraging and show that all things are possible with God. All of you have run with the vision God has given you and that is my desire- to fulfill my calling and get His message of love out. Thanks again. I had an inspiring dream last night. It was a little Lord of the Rings meets David and Goliath with a lot of girl power. Could be an interesting story. I have never wrote anything in the fantasy genre. My favorite dream ever was one I had a few years ago, in which I stood with a crowd of people in a great white palace. God was a large man all in velvet stripes, rummaging through papers in his book-cluttered office. Satan was an annoying, wirey little man running around telling everyone what they'd be perfect at. Suddenly God lumbered out and crouched down to rifle through an overflowing in-box on the floor. "Genesis!" he said. "Where's my Genesis?" Don't know why, but that still makes me smile when I think of it. I see. Slow and steady wins the race. Most days I think I'm more like the hare. I rush to get something done, then I take a "quick" break and end up not finishing the task. But I do eventuall finish.